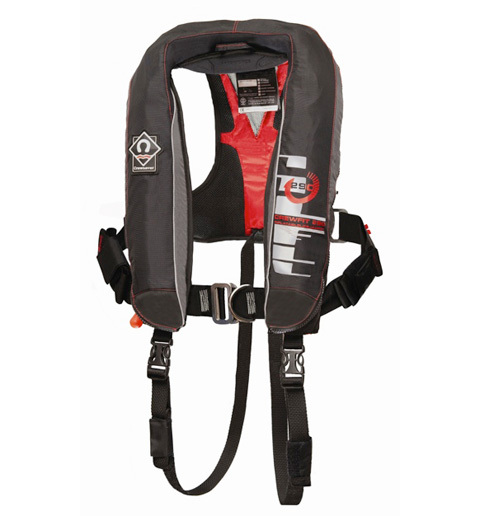 LIFEJACKET RECALL: Survitec has issued a recall for its Crewsaver Crewfit 290N Advanced Lifejackets manufactured from 1 June 2011 to 31 October 2012. The company says these lifejackets may be subject to loosening of the bladder webbing straps, which may result in the stability of the jacket being affected. In order to determine if people have a lifejacket that could be affected, the Survitec Group is instructing the return of all Crewsaver Crewfit 290N Advanced Lifejackets for a thorough inspection and, where appropriate, repair or replacement. Owners of the lifejackets should not use them and return them to Crewsaver, Gosport to be inspected and tested. Crewsaver will reimburse the customer for postage incurred. For further information please call the Crewsaver Helpline on 023 9252 8621. There are six codes of the Crewfit 290N Advanced Lifejacket concerned: 1. Crewfit 290N Advanced Plus N/H, 1290-ADZPLUS 2. Crewfit 290N Advanced Auto N/H, 1290-ADZAUTO 3. Crewfit 290N Advanced Manual N/H, 1290-ADZMAN 4. Crewfit 290N Advanced Plus Harness, 1291-ADZPLUS 5. Crewfit 290N Advanced Auto Harness, 1291-ADZAUTO 6. Crewfit 290N Advanced Manual Harness, 1291-ADZMAN Serial Numbers potentially affected: 1. Crewfit 290N Advanced Plus N/H, 1290-ADZPLUS Serial Numbers: L1106 00561 to L1207 00550 2. Crewfit 290N Advanced Auto N/H, 1290-ADZAUTO Serial Numbers: L1106 00505 to L1207 00550 3. Crewfit 290N Advanced Manual N/H, 1290-ADZMAN Serial Numbers: L1201 00582 to L1202 00518 4. Crewfit 290N Advanced Plus Harness, 1291-ADZPLUS Serial Numbers: L1106 00501 to L1210 00572 5. Crewfit 290N Advanced Auto Harness, 1291-ADZAUTO Serial Numbers: L1106 00511 to L1210 00567 6. Crewfit 290N Advanced Manual Harness, 1291-ADZMAN Serial Numbers: L1201 00535 to L1209 00501 No other Crewsaver products are affected. This entry was posted in Uncategorized on November 30, 2012 by Iain Forrest. 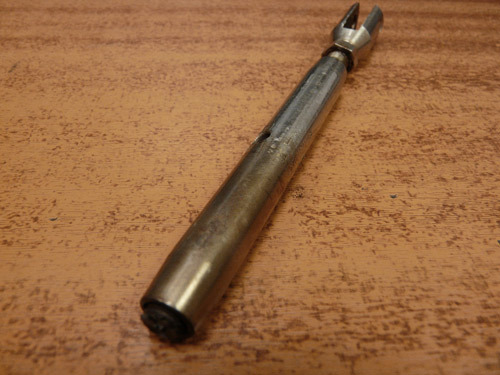 Stainless on Stainless, no problem you may think however when it comes to a turnbuckle, ie stainless barrel and stainless threaded stud or threaded fork it can be an issue. The rig load can ‘weld’ the stud into the body of the turnbuckle so that it never turns again! The best turnbuckles in my opinion are bronze body/chrome plated or a stainless body with a bronze insert either end. Whatever type of turnbuckle you have, do not under any circumstances allow them to be dragged over the boatyard before stepping or after unstepping the mast. An excellent lubricant is Lanoguard, but make sure the threads are clean before applying and remove any surplus before going sailing! When taping the assembly use self amalgamating tape followed by pvc tape, make sure you leave the barrel free for inspection and never use split pins more than once, bent straightened and used again is bad news! This entry was posted in General Interest, Tips and Advice and tagged Admiral PSP, Lanoguard on November 30, 2012 by Iain Forrest. Barton make a great range of cost effective blocks, traveller systems and a variety of other bits of excellent kit such as the award winning Clam Seal (repairs inflatable's even when wet). However there is a limit to what you can ask a small Barton, Spinlock or Harken stanchion block do without it failing! Take for instance this poor Barton stanchion lead block, great for leading the furling line aft or changing the angle slightly, however if you are asking it to be used as the final take off on a furling line you should always go bigger and incidentally, if the lead is turned thru say 180 degrees that dramatically increases the loading on the block, in fact doubling it! Old sea dogs like me always prefer to introduce some friction into the line when you are unfurling the genoa, means the furling line coils round the drum without any issues (like a riding turn round the drum) when unfurling the genoa. 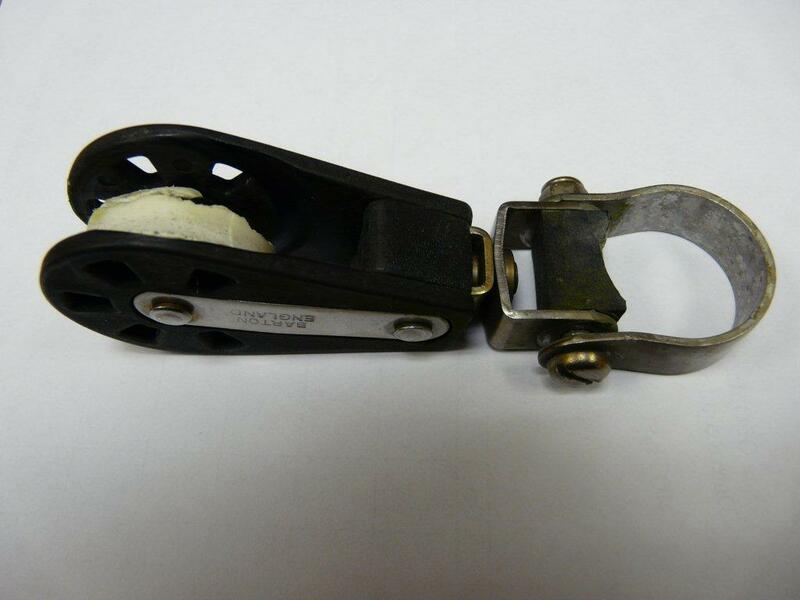 Friction can be introduced by using a ratchet block such as one of the Harken Hexaratchets. This entry was posted in General Interest, Tips and Advice and tagged Barton, Harken, Spinlock on November 30, 2012 by Iain Forrest. This entry was posted in Race News on November 27, 2012 by Iain Forrest. My partner in crime Andy MOburgess disappeared of yesterday to spend a few days of quality time with his family (catching up on some of his summer holiday entitlement) methinks that’s the reason the weather has turned nasty. They say lightning never strikes twice however back end of last month when he went ‘seeking the sun’ in Lanzarote that was the week that the hurricane devastated the East Coast of America. The Canary Isles although a considerable distance from the States can be affected with what’s happening the other side of the pond! Speaking of the Canary Isles my ‘summer hols’ are drawing closer, flying out to Grand Canaria then a ferry to Gomera on Friday the 7th, excess baggage is not being called for yet but then word has not yet spread too far round the boating fraternity that I am due out. Orders coming in so far are for a Nasa Navtex aerial, MG Duff hanging anode, Yachticom head treatment system (Purytec) and a Spinlock Mast Pro, no doubt there will be more! Andy’s Mo (moustache to the folks that don’t know the meaning ) is flourishing well however I believe at the stroke of midnight on December the 1st his good lady Jill will be attacking his growth, no wonder he is looking so sad! 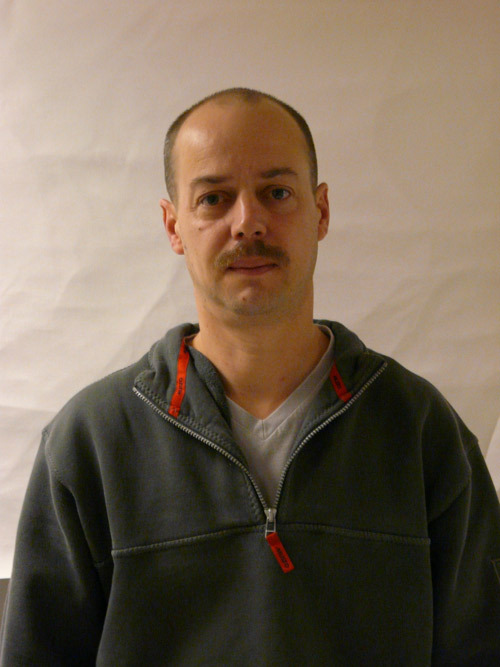 To view his Mo cultivation click onto http://uk.movember.com/team/706657 and that of the rest of the hairy ones at the chandlery, if you're feeling flush a team donation to Movember would be great! This entry was posted in General Interest and tagged MG Duff, NASA, Spinlock, Yachicom on November 27, 2012 by Iain Forrest. Faster than the speed of sound? 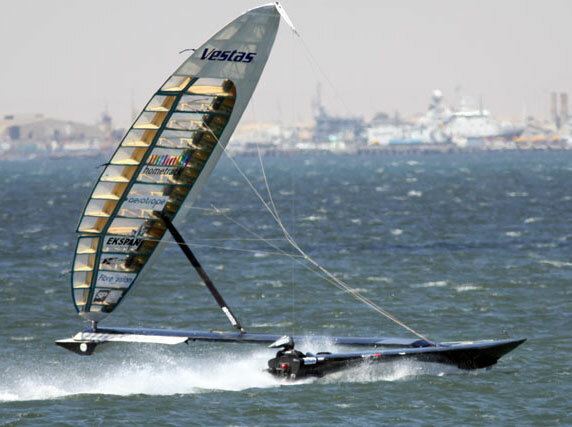 This entry was posted in General Interest, Race News and tagged SP gurit, Spinlock, Wast Systems on November 26, 2012 by Iain Forrest. Past its sell by date! This past Saturday a guy asked me if he could be supplied with a replacement auto bobbin to bring the jacket ‘back up to scratch’ Suggest politely that perhaps he ought to purchase a complete replacement lifejacket as this one was looking slightly the worse for the wear. Unpacked the jacket, saw the condition of the bottle, pointed out the abrasion on the covers and then said ‘would you be happy to go to sea in this’? Convinced him that he ought to fire it off and see what happened, well it inflated... sort of, bottle was not screwed firmly down onto the firing mechanism! Two hours later the jacket had completely deflated. Rang him and suggested he buy new, with Typhoon lifejackets from £39-95, Baltic and Secumar a bit more as well as the Spinlock range we have a wide choice! This entry was posted in Uncategorized and tagged Baltic, Secumar, Spinlock, Typhoon on November 26, 2012 by Iain Forrest. 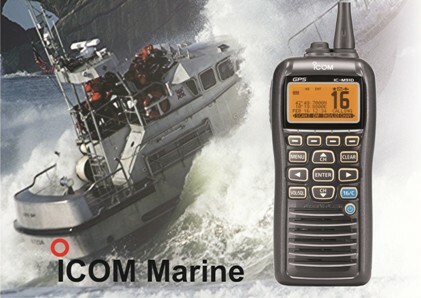 This entry was posted in General Interest, New Products, Safety, Tips and Advice and tagged DSC, ICOM on November 22, 2012 by Iain Forrest. 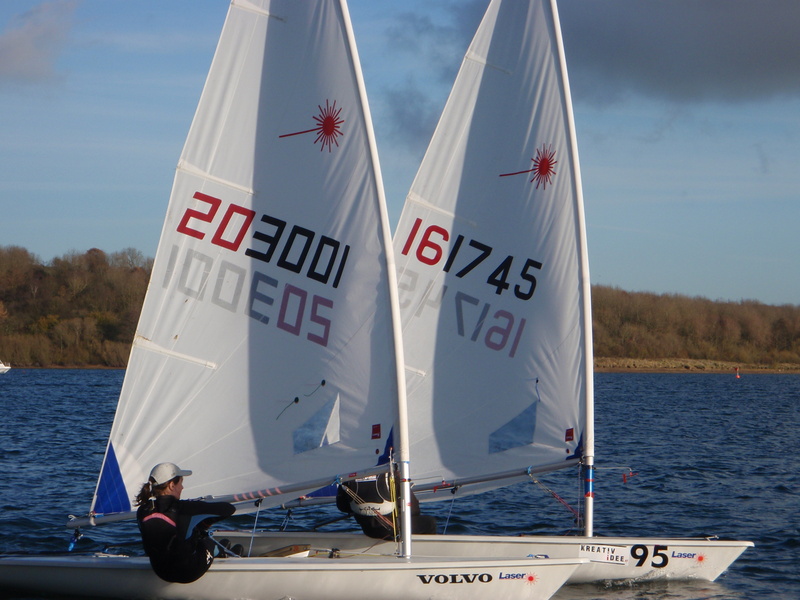 Georgie Booth, the marinechandlery.com/Crewsaver sponsored sailor came away from the Laser Radial weekend held at Carsington reservoir, a happy girl. She finished 2nd out of the 56 entrants and 1st girl! We hope the prize was chocolates and that they went down well! Georgia was of course wearing her Crewsaver kit including her Kite buoyancy aid, Igneous boots, Effect spray top, Winter Neo gloves and long john which she firmly believe gives her that competitive edge, cos she can concentrate on the race and not on trying to stay warm! Her laser cover which we manufactured in our sailloft was built from Weathermax a material which we have been working with for almost two years, has excellent breathability, UV protection, lightness and its tough! This entry was posted in Uncategorized and tagged Crewsaver, Gill, Weathermax on November 21, 2012 by Iain Forrest. On top of the world... or the bottom of a muddy bog? 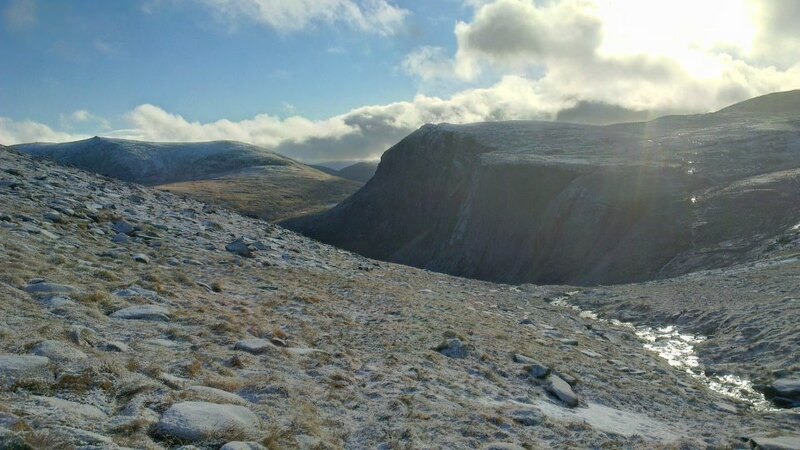 Young Clare who is responsible for all our Facebook/Twitter outpourings as well as our regular newsletter etc etc was last weekend found to be up in the Cairngorm range, camping out in sub zero temperatures, walking, climbing and doing all things extreme and apparently enjoying herself! 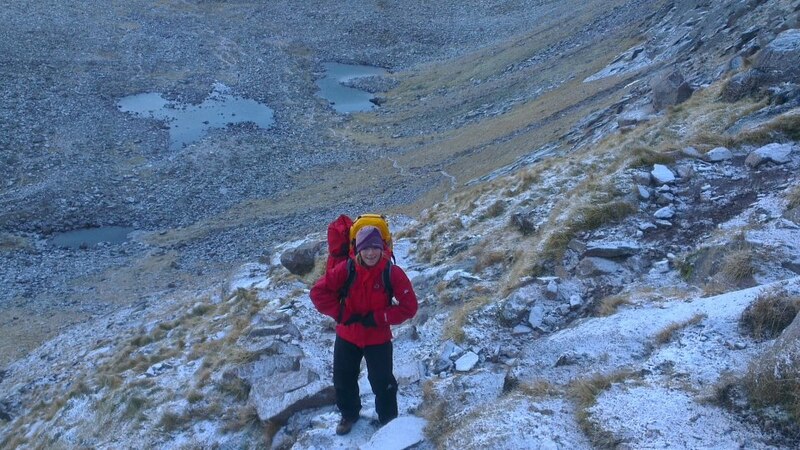 She told me that she was eternally grateful for her Sealskinz socks, when crossing a snow covered frozen bog, naturally it gave way, this was on the way to conquering her second Munro of the weekend, other bits of her kit that helped her survive included her Uni-lite LED head torch and Musto base layer. 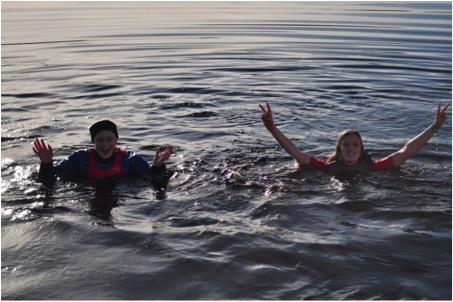 This entry was posted in General Interest and tagged Musto, Sealskinz, Silva on November 21, 2012 by Iain Forrest.